Ashvini Chopra is senior vice president, family office, at Bennett Coleman in Mumbai, India. He has more than 23 years of experience — six years have been as an estate planning professional and more than seven years as a private banker. His focus areas are succession planning, tax planning, wealth management, lifestyle management, entity management, and advising on board constitutions. 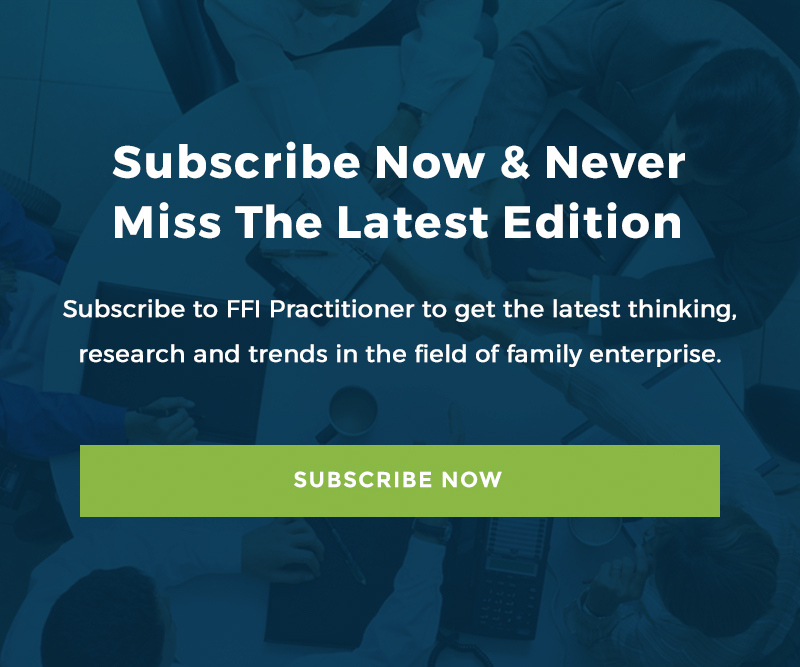 Ashvini’s previous FFI Practitioner article, “Selling the Family Business? Set up a Family Office First!” was one of the five most read in 2017. A member of FFI and STEP, Ashvini can be reached at [email protected].